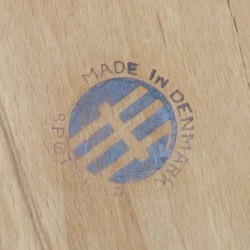 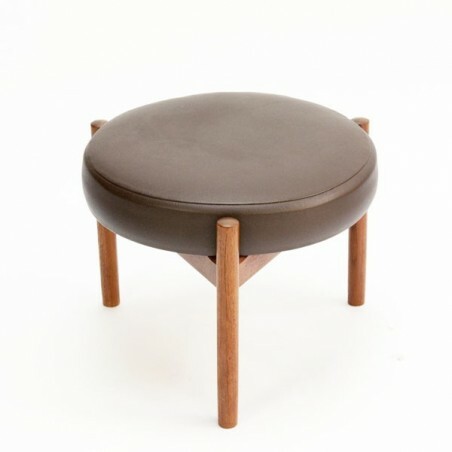 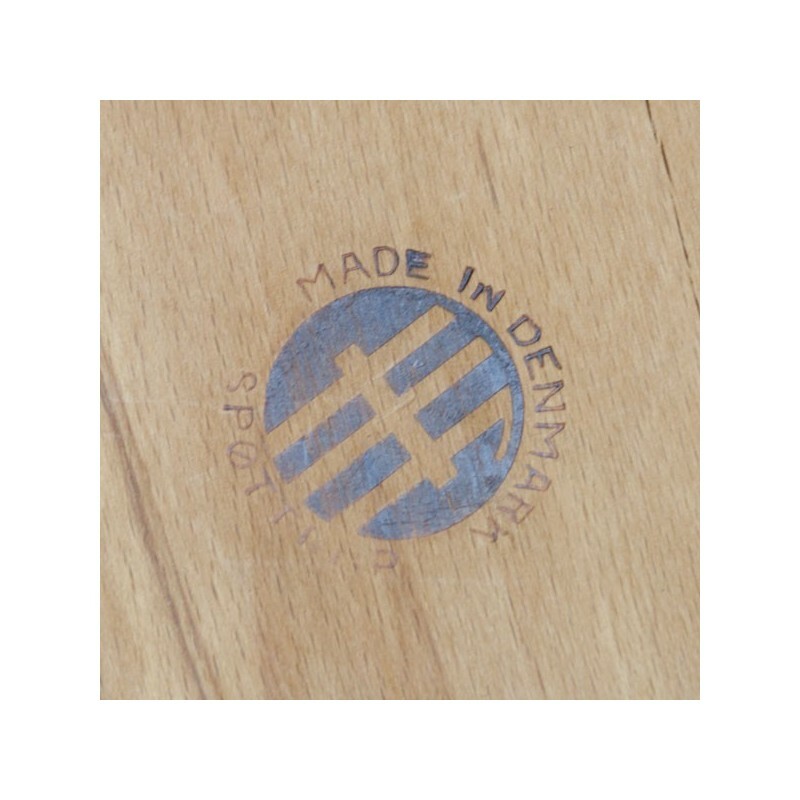 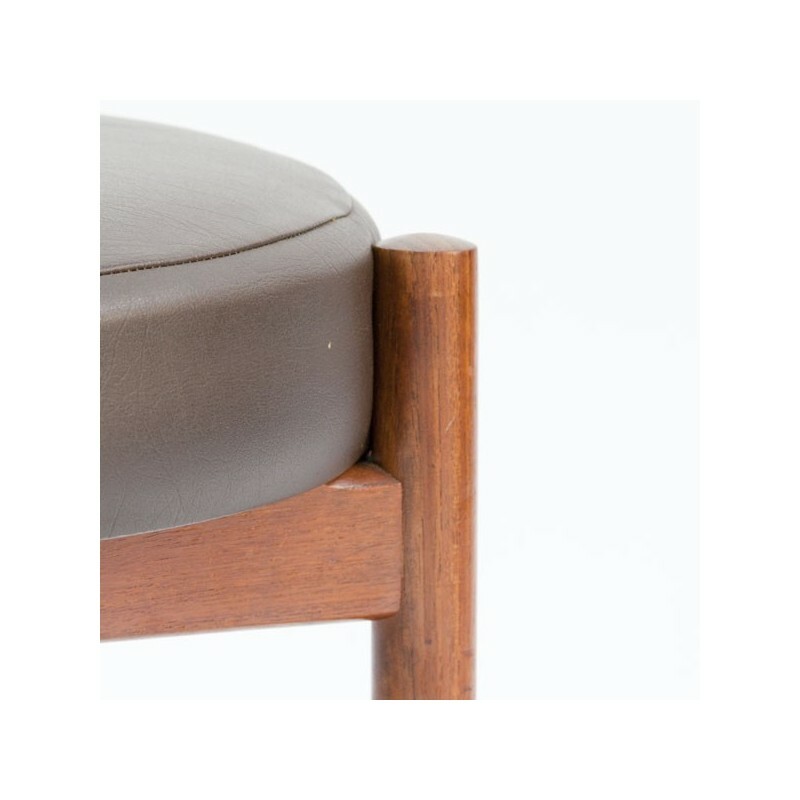 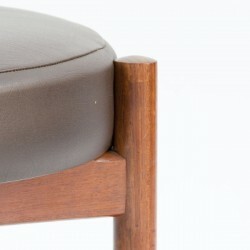 Vintage design stool / footstool of the Danish brand Spottrup (marked). 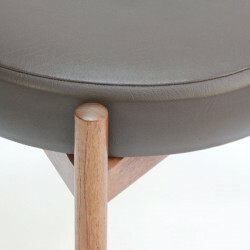 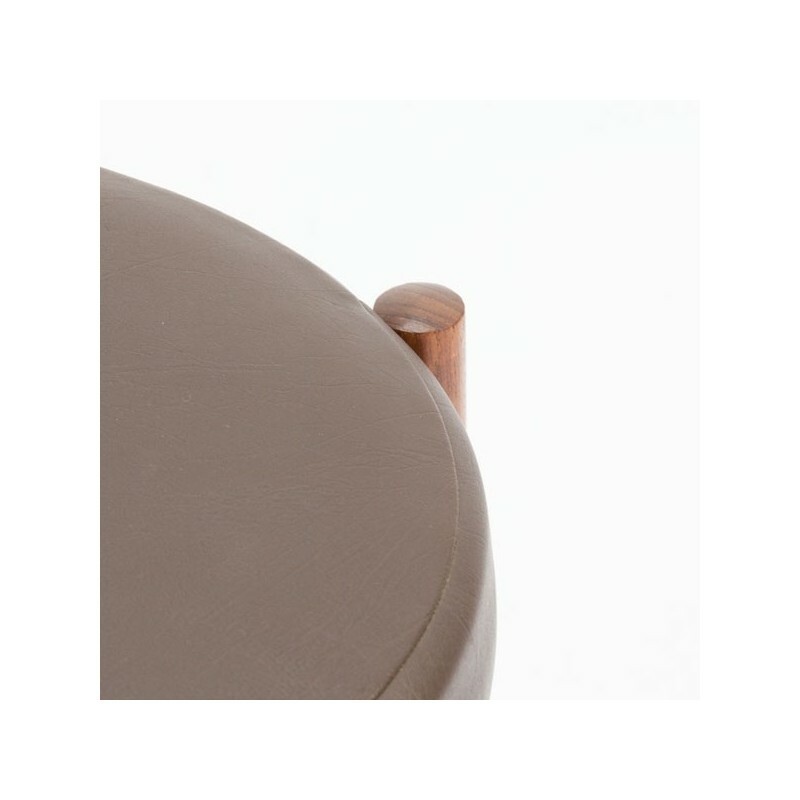 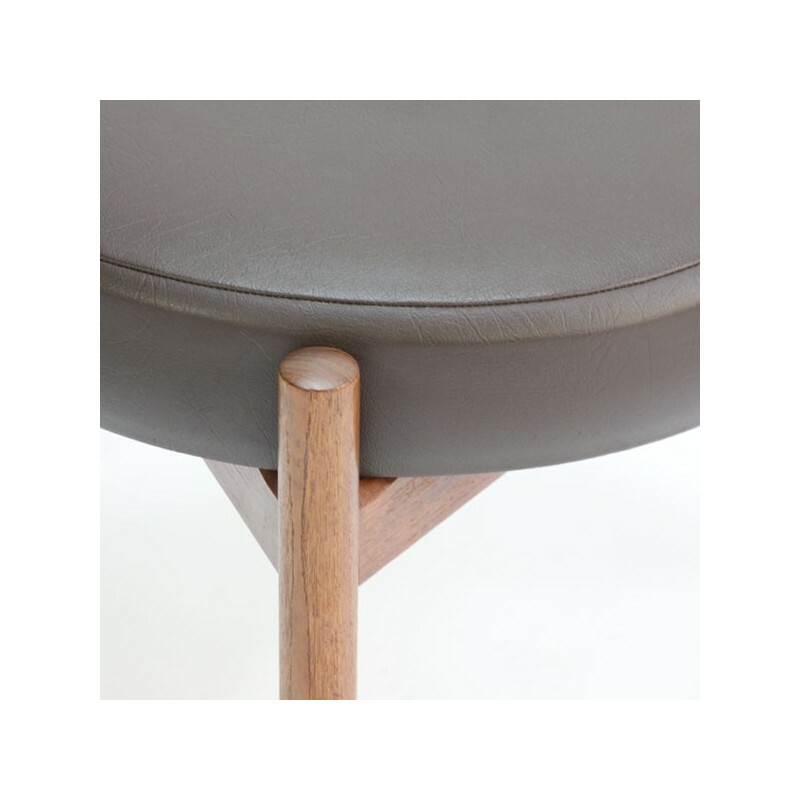 Stands on a tripod and is upholstered with brown leather. 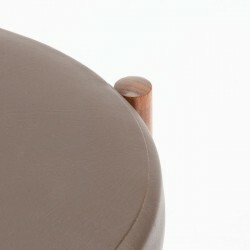 The condition is good, especially considering the age, see detailed pictures. 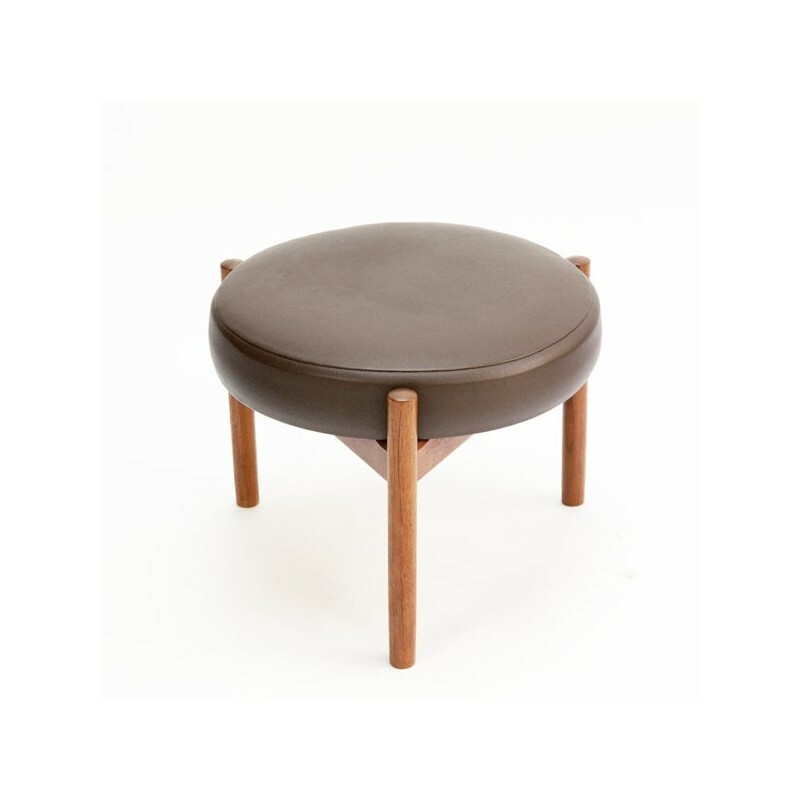 The size is 35 cm high and 45 cm in diameter.